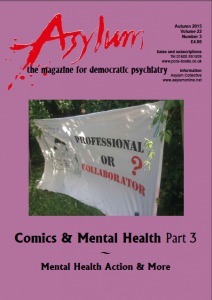 The special feature in this issue focuses on depictions of body and gender-related mental distress in comics. We kick off with a piece by Caroline reflecting on the recent spate of autobiographical comics, particularly Marbles. and Simon Warne, in this issue dealing specifically with gender.